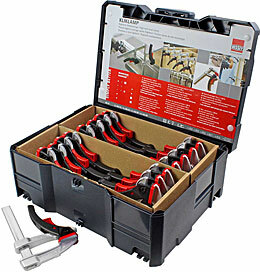 The innovative KliKlamp is easy to handle, light and convenient, making it the first choice every time for light to medium clamping pressures. 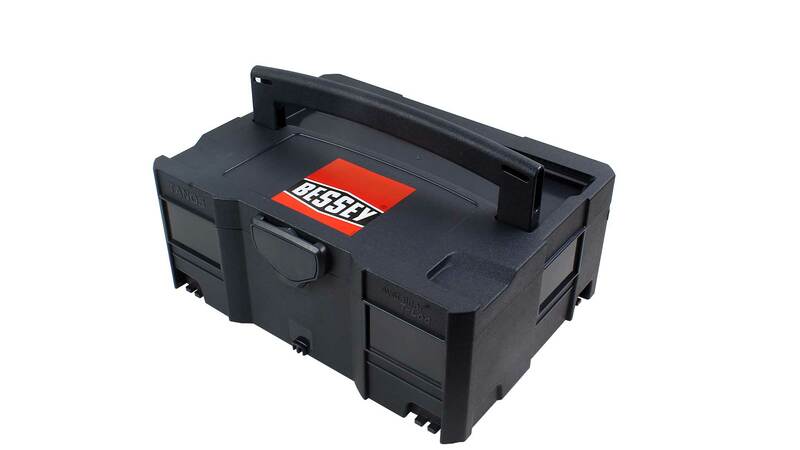 It is suitable for professional and home use – from modelling to furniture construction, from plastic to Plexiglass. Fixed jaw and moving jaw are made of extremly light magnesium. 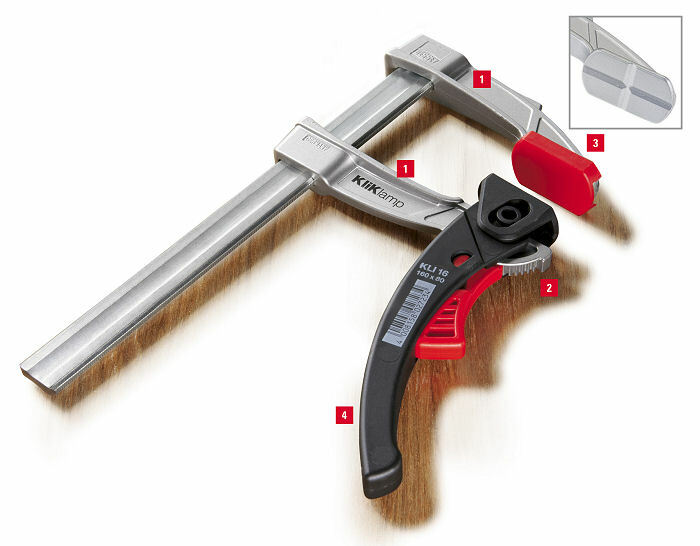 The ratchet action of this clamp gives you the control for just the right amount of pressure for the job - from light clamping to 1200 N.
The rails are made of steel. 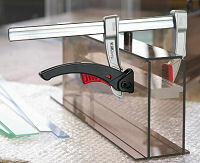 Cross prisms in the surface of the fixed jaw allow clamping of round stock. 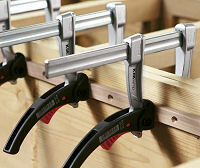 This clamp stays clamped, even when used around vibration producing power tools. 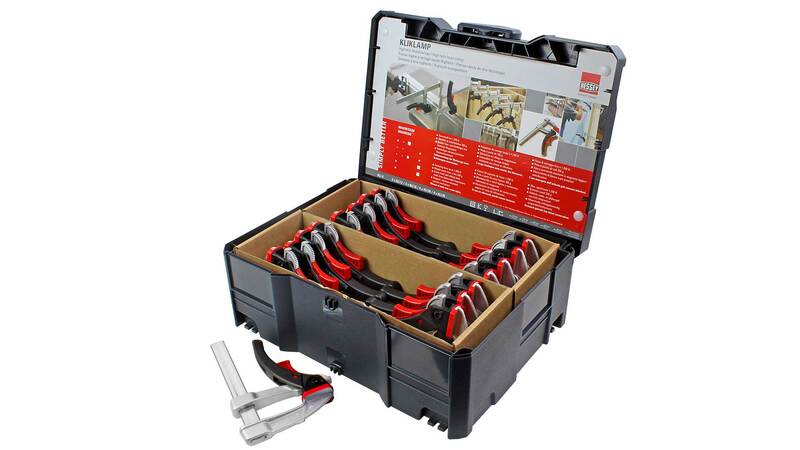 This practical systainer with 16 KliKlamps in four different sizes is an ideal set for ready access on site or in the workshop.